We are a warm and welcoming unisex salon. Our friendly and experienced staff pride themselves on listening to their clients needs and providing them with great service. We are trained in both old school and current on trend techniques and provide a full range of facial beauty. Package deals are available. We welcome all customers with either bookings or walk in appointments and look forward to seeing you soon. Team C&S. Hair and Beauty. Style Cuts, Colours, Foiling, Chemical Straightening, Hair Extensions, Wedding & Formal hair and make-up, Waxing, Eyelash Extensions, Spray Tans, Facials. 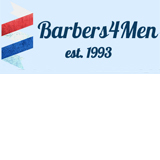 Human hair extensions,Dreadlocks, Cornrows,Permenent hair straightening, Colour,Cuts, Perm relaxing, hair relaxing, men's cuts, kids cuts , Brazilian keratin treatments ,facial waxing....... We also have a range of haircare products for chemically treated hair and a range of hair for braiding..... Please contact us and talk to our friendly staff for any quiries..
Local Hair dressings, carters to everyone, expert in colors,color corrections, haircuts, styling, formals, bridle parties, eyebrow wax. discount for pensioners.